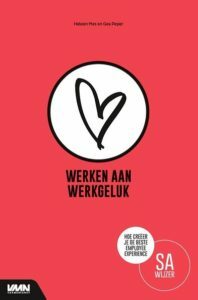 We hebben een aantal wereldwijde experts op het gebied van Happiness at Work gevraagd naar hun top 5 tips, boeken, posts of filmpjes over Happiness at Work. In deze post deelt Alexander Kjerulf, Chief Happiness Officer en CEO van WooHoo inc zijn 5 tips voor het creëren van een cultuur van positieve feedback in organisaties. 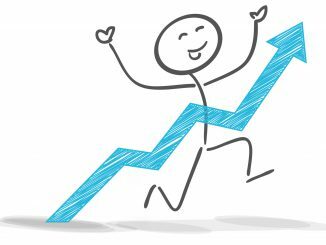 Positive feedback not only feels great – it also makes us more effective. In the study, participants… were asked to solve problems. 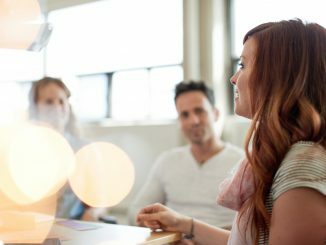 Just before that, approximately half of the participants received an email from a coworker or friend that described a time when the participant was at his or her best. Overwhelmingly, those who read positive statements about their past actions were more creative in their approach, more successful at problem-solving and less stressed out than their counterparts. For instance, participants had three minutes to complete Duncker’s candle problem. Fifty-one percent who had read emails prior to the task were able to successfully complete it; only 19% of those who did not receive “best-self activation” emails were able to solve it. Those who received praise were also significantly less stressed than the control group. That’s significantly better performance from the group that had just received positive feedback. Why would that be? 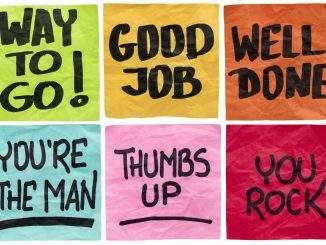 Side note: We use praise as a common term for all positive interpersonal communication at work. The broaden-and-build theory of positive emotions suggests that positive emotions broaden one’s awareness and encourage novel, varied, and exploratory thoughts and actions. Over time, this broadened behavioral repertoire builds skills and resources. If people are in a good mood on a given day, they’re more likely to have creative ideas that day, as well as the next day, even if we take into account their mood that next day. There seems to be a cognitive process that gets set up when people are feeling good that leads to more flexible, fluent, and original thinking, and there’s actually a carryover, an incubation effect, to the next day. This is crucial. It shows that being happy is not just about feeling good – it has a large measurable effect on our work performance in many different way. Creative thinking is just one – happy people are also more productive, more resilient, more empathetic and make better decisions – just to mention a few effects. 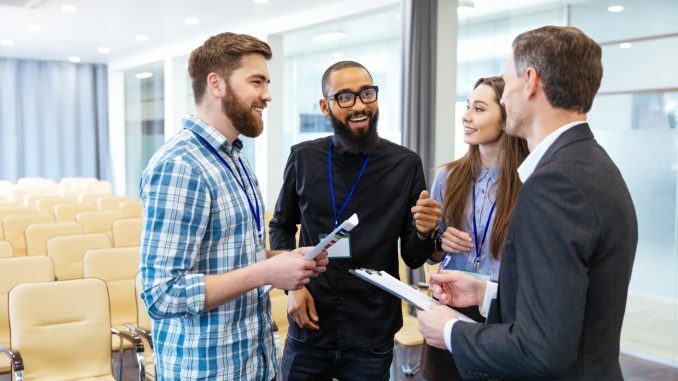 Giving positive feedback is an interesting way to create more happiness at work for two reasons: It’s incredibly effective (as the Harvard study showed) but it’s also sorely lacking from most workplaces. In our recent study of what makes people unhappy at work, a lack of praise and recognition was one of the major causes. 37% of participants in our survey mentioned it as something that made them unhappy at work. 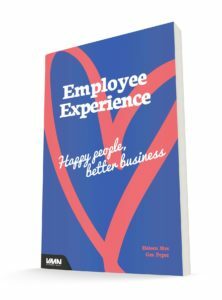 Our model of what makes us happy at work says that it comes from two main factors: Results and Relationships. Or to put it another way doing great work together with great people. Here’s a video on that. We’ve always said that praise at work is important because it shows people that they do good work, make a difference and get results. This gives us a feeling of pride that makes us very happy at work. Praise also motivates us for future tasks. But lately we’ve realized that there is more to positive feedback: It’s also about strengthening relationships in the workplace. When you praise someone else, it shows that you actually pay attention to them and are able to see their good work and positive qualities. One of our most fundamental psychological needs is the need for others to see and recognize the good in us. Some sociologists argue that how others see us is in fact one of the major factors that shape our identity. And we know that people who are never seen, or only seen for the bad they do, have a much higher risk of developing mental problems over time. We’re not saying it’s easy – far from it. In many workplaces there is no tradition of positive feedback. Many managers in particular have developed a notion that praise is trivial or ineffective – they’re completely wrong, of course. I’ve even heard managers argue that “we shouldn’t praise employees – they’re just doing their jobs.” How incredibly narrow-minded. Some workplaces even have a strong culture of negative feedback, so that good performance is met with silence but even the slightest mistakes are punished harshly. Some people are so out of practice with positive feedback that they even find it hard to receive praise. Here’s our best tip on how to receive praise. I have always believed that the way you treat your employees is the way they will treat your customers, and that people flourish if they’re praised. It’s also worth remembering that we can praise others for what they do (their work or their results) but we can also praise others for who they are, i.e. the personal qualities we see in them. So get praisin’. Positive feedback takes no time and costs no money and is one of the most effective ways to make a workplace happier and, apparently, more productive. And anyone can praise anyone else. Of course bosses should praise employees, but employees can also praise each other, praise the boss or even praise customers. Why not? We can all start with ourselves. Could you become the kind of person who is really good at seeing the good in others and telling them about it? This is a great thing to do, not just at work but also in your family, with your friends or even with random strangers on the street. When you praise others, you don’t have to make a big production out of it. You can simply go up to someone and quietly and give them positive feedback. You can send the praise in an email, you can write it on a post-it note and stick it on their desk, you can praise people in meetings in front of their coworkers or in a million other ways. Could one of them work for you? We would suggest making it a daily challenge to give at least one other person at work positive feedback of some kind. This can help develop a habit around it and get to the point where it’s something you do naturally.